FINS is ready for some Football!! 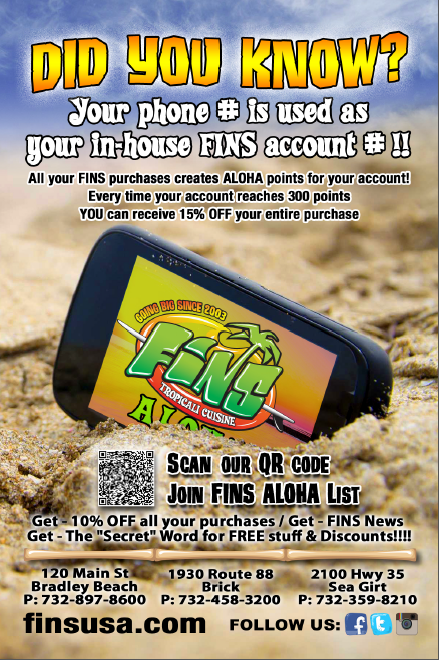 Make Your Super Bowl Party Awesome & get your FINS orders in early! On the Not So Frozen Tundra!! FINS serving the BEST Wings in Monmouth and Ocean Counties!!! Nacho Dip, Guacamole, Tahitian Fish and our full Catering Menu all SUNDAY long!!! Don’t forget FINS has .69¢ WINGS every SUNDAY! Thank you Taylor for the awesome feed back!! !